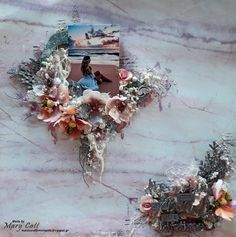 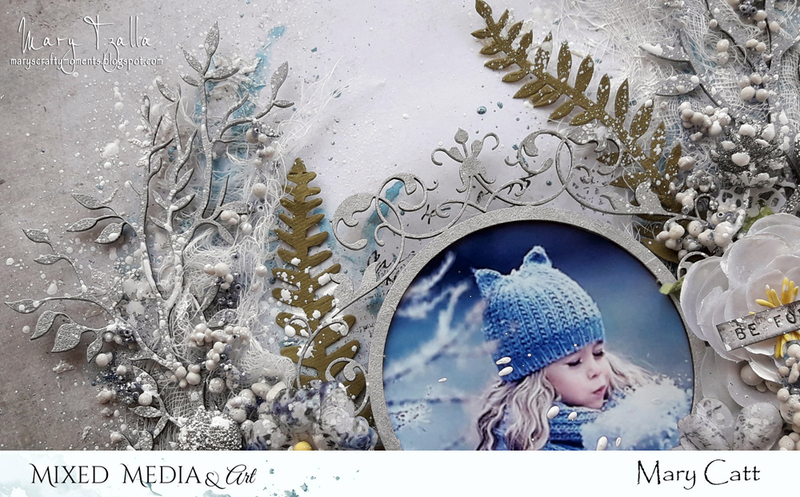 Mary's Crafty Moments: ''Happiness is a Journey'' - DT Layout for Mixed M..
7Dots Studio Christmas Youtube Hop - Mixed Media Layout "Snow Angels"
Mary's Crafty Moments: ''Life is Good at the Beach'' - DT Layout for More. 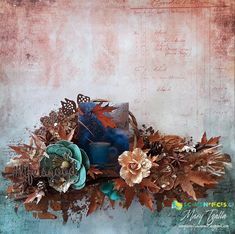 I used some Lindy's Gang sprays such as ''Salt Water Taffy'', ''Alpine Ice Rose'' and ''Autumn Maple Crimson'' to add color on the wooden slices. 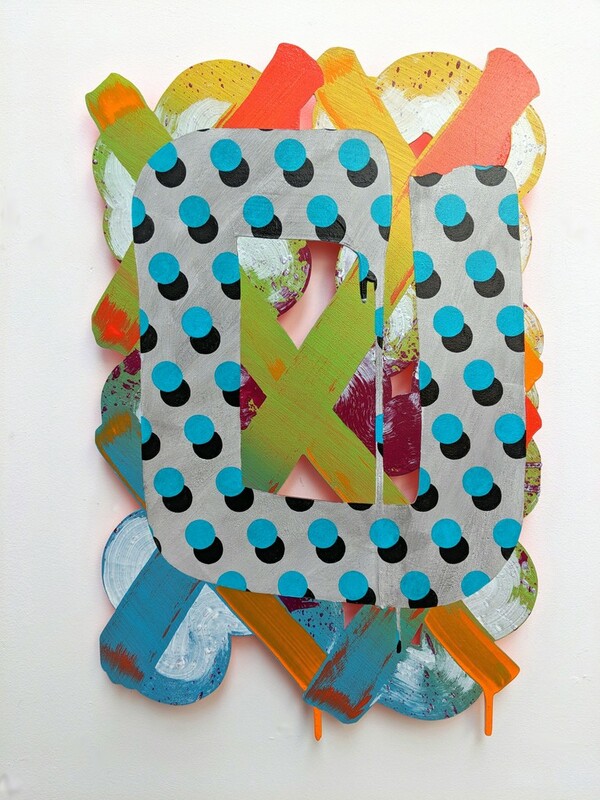 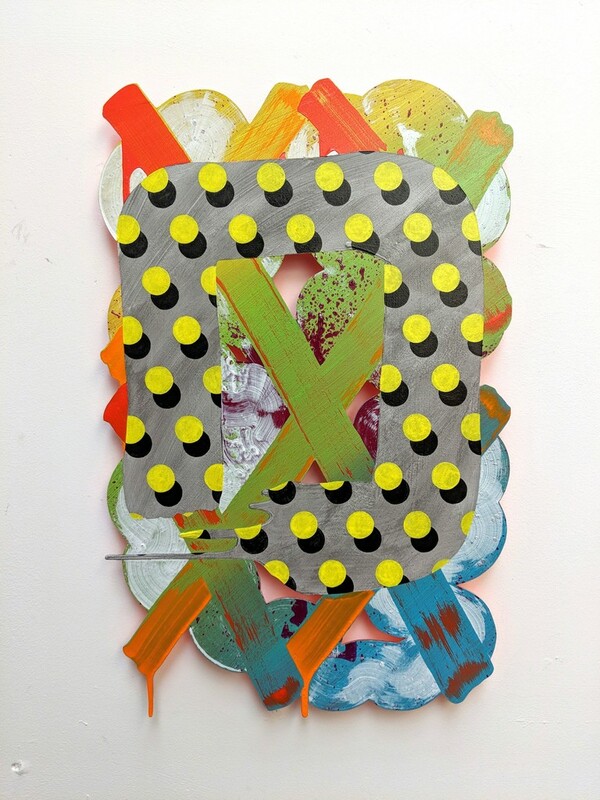 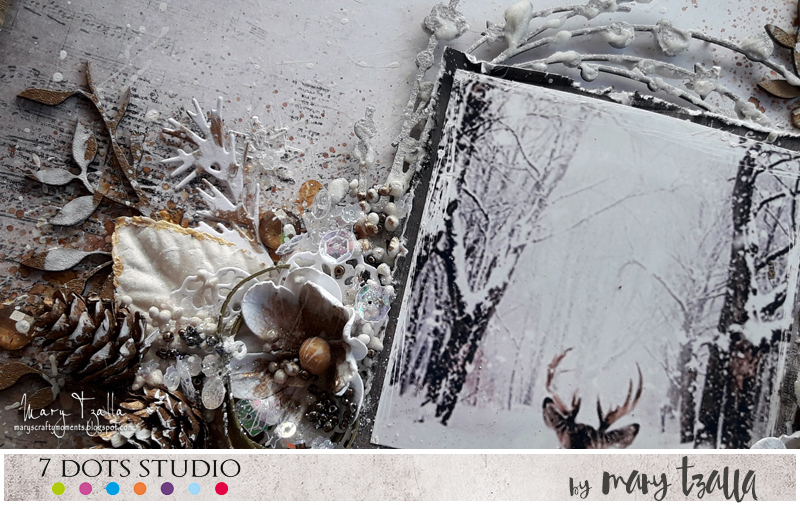 I started by applying a coat of white gesso on the wooden slices. 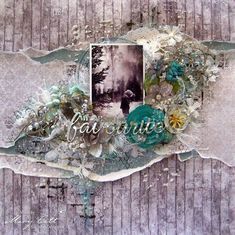 Then, I created texture with modeling paste mixed with mini art stones. 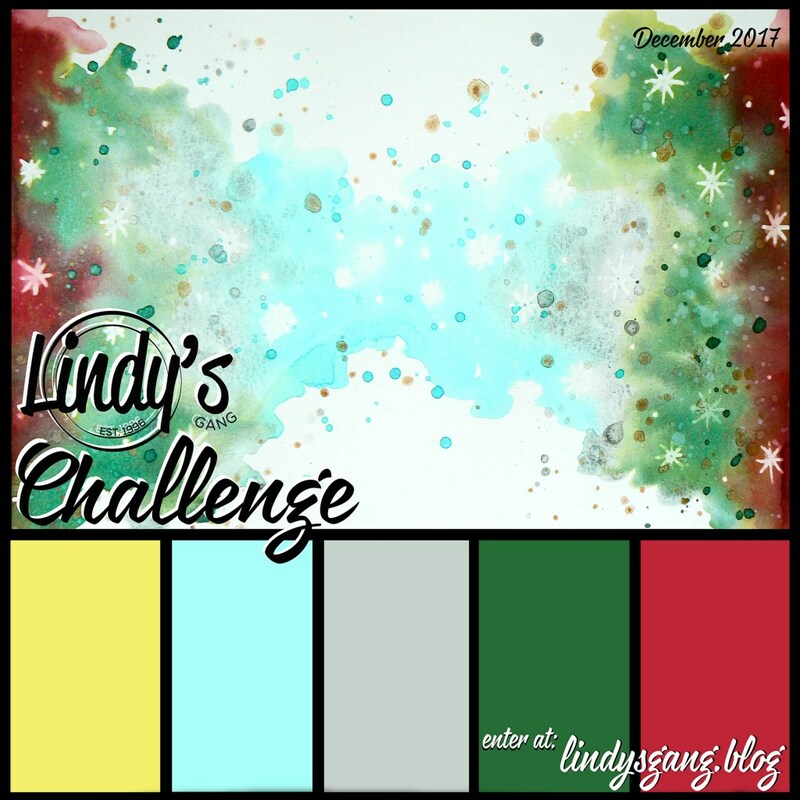 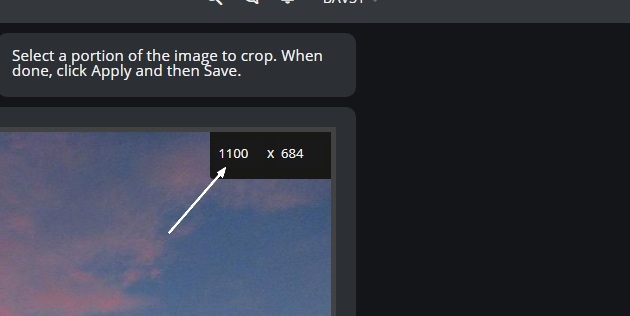 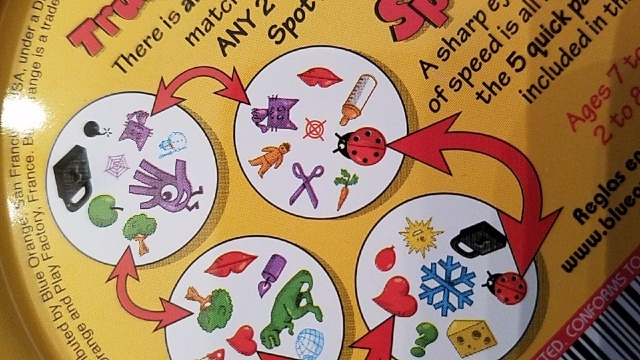 As you propably have already guess this time I combined these two challenges because they were matching perfectly. 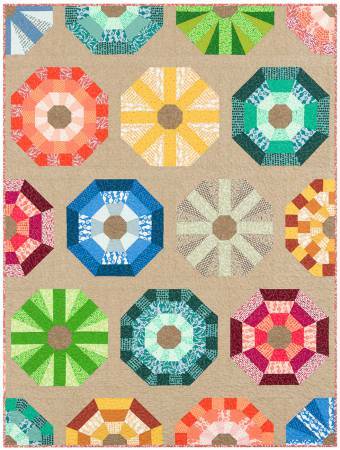 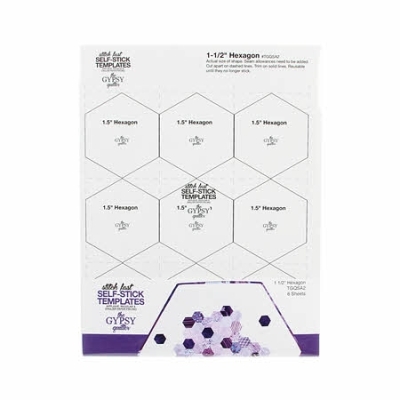 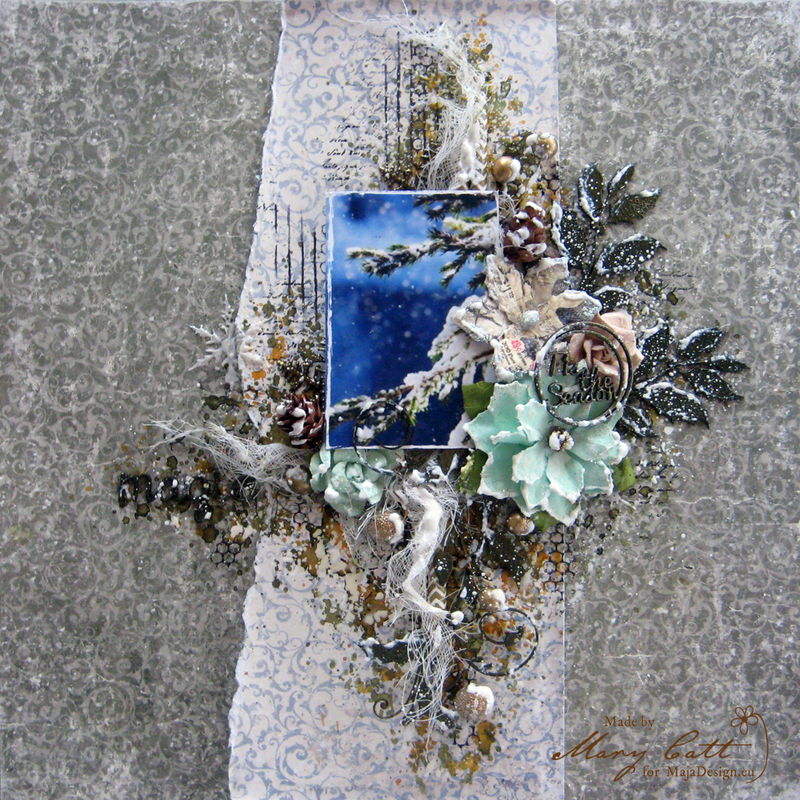 I choose to use the ”Playful” paper from the ”Joyous Winterdays” collection. 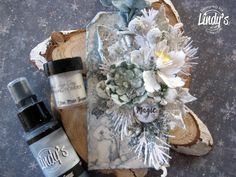 For my title, I used the Outline Alpha and I backed it with a polka dots paper, and over it, I put a silver glitter word that says "forever". 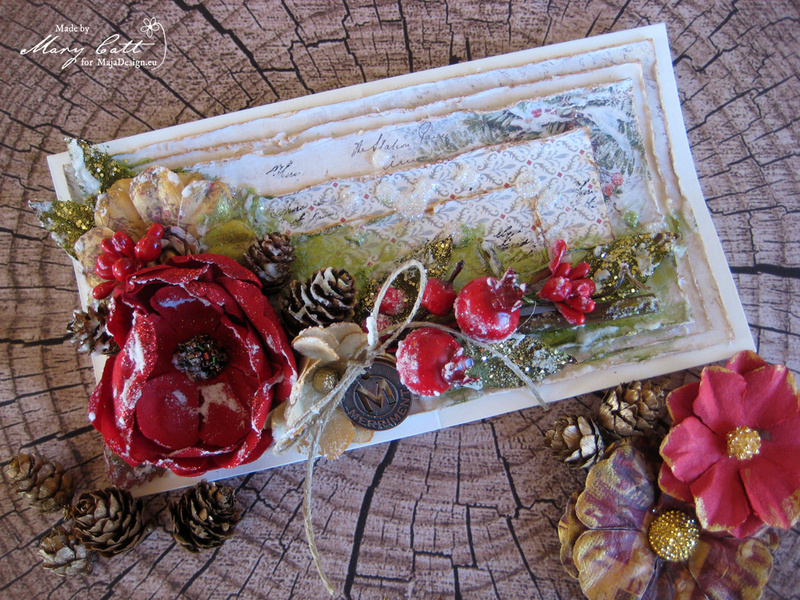 Elise created a delightful set of Christmas cards with happy greetings using our featured sentiment sets! 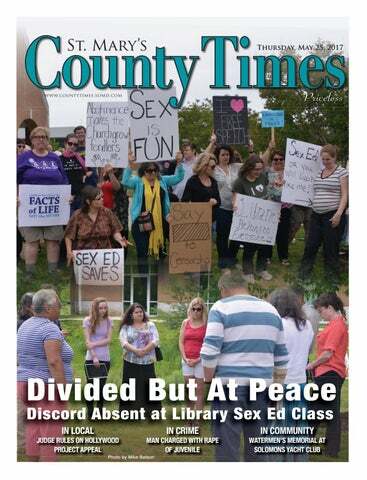 I love how she paired up the Say What? 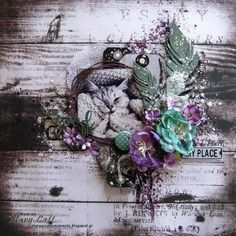 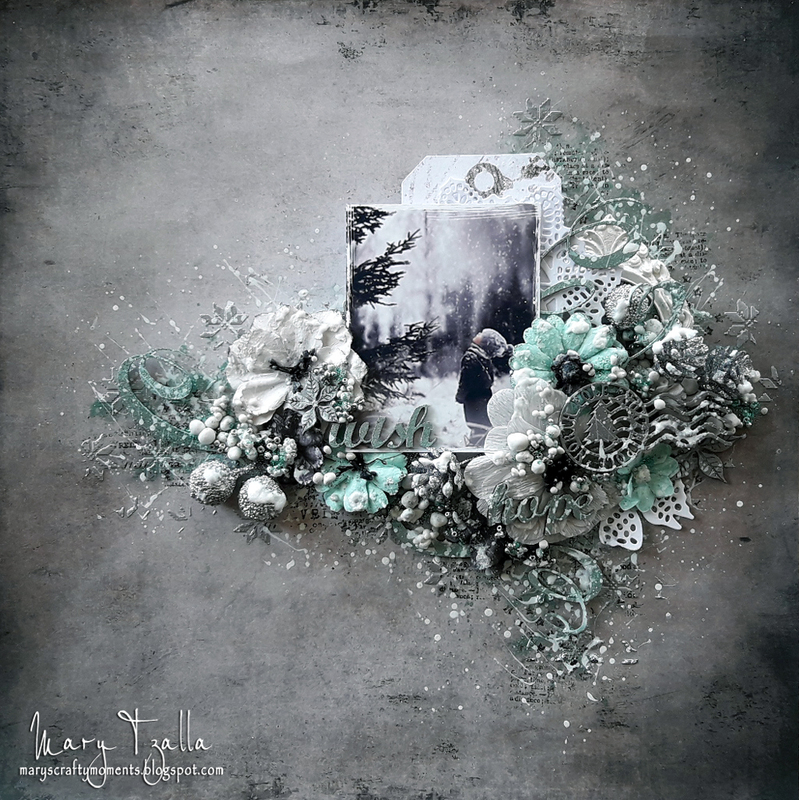 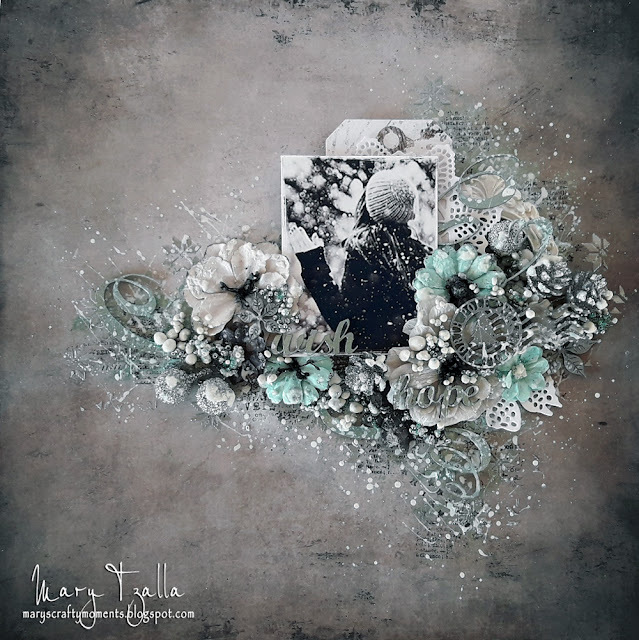 Tina Marie - Forever and Always: "Picture Perfect" Maja Design / Dusty Attic DT Cre. 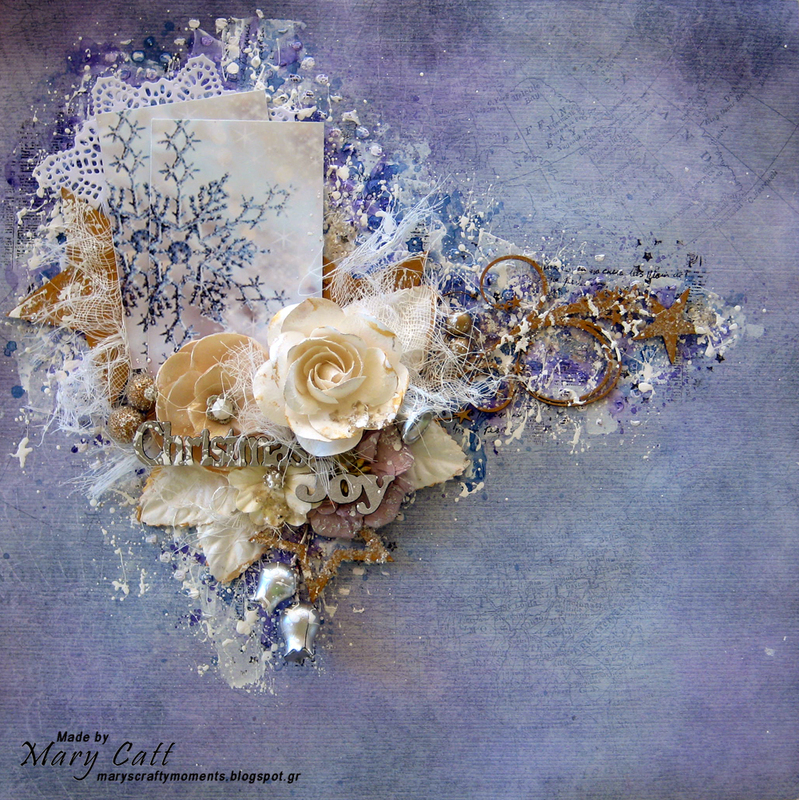 Mary's Crafty Moments: ''Magical'' - A DT Layout for Chipboard wi. 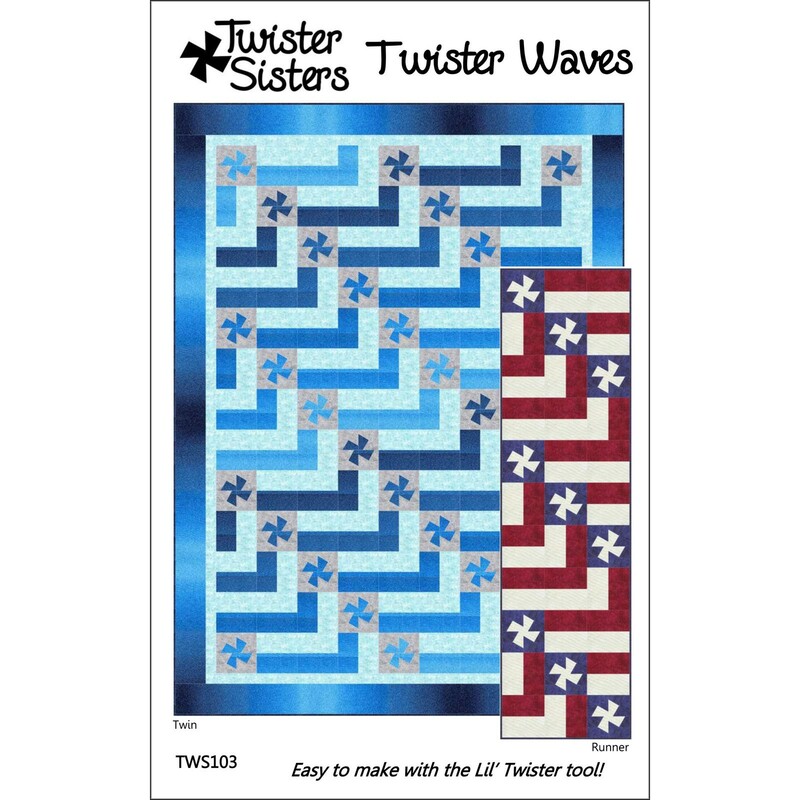 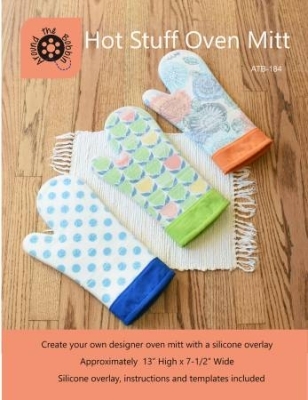 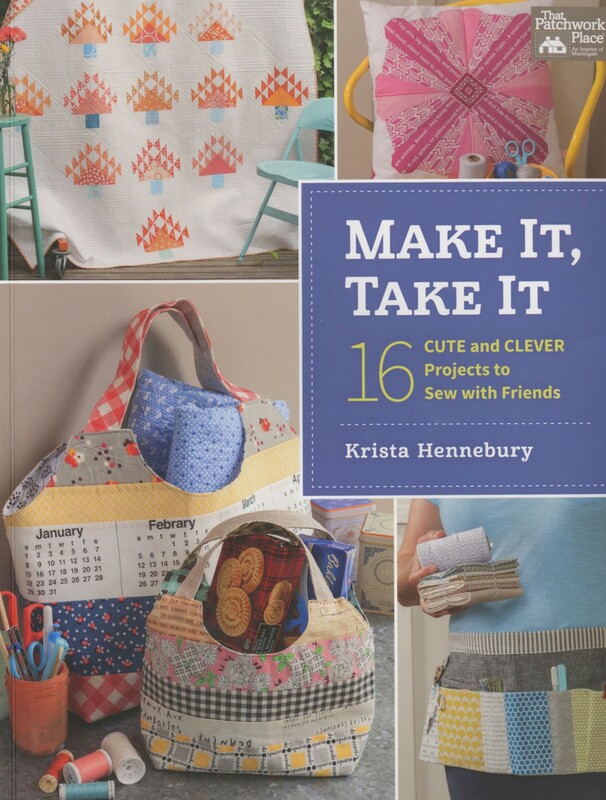 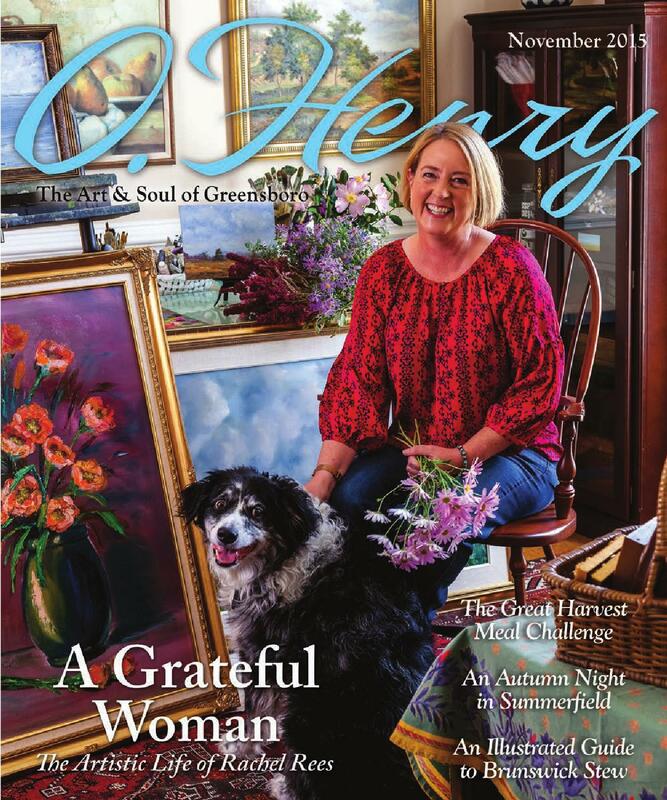 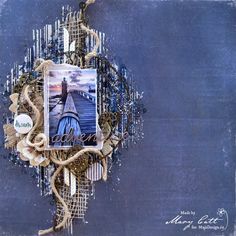 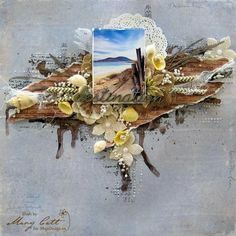 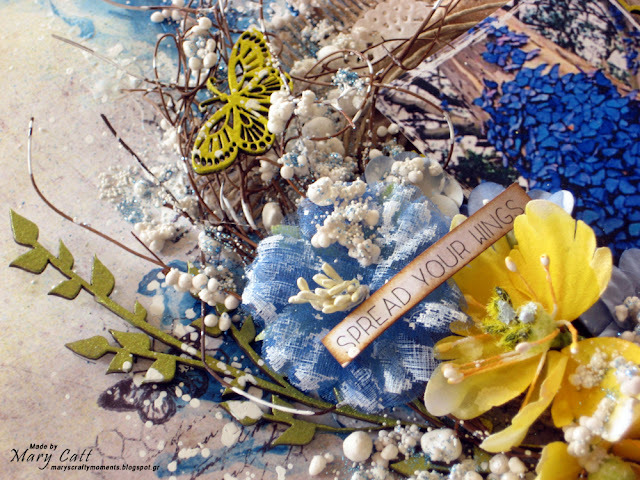 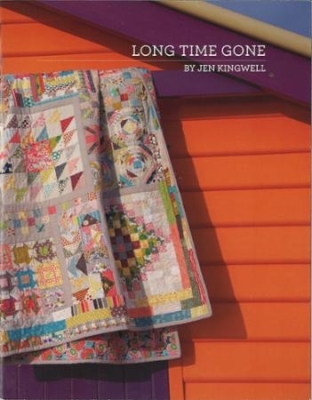 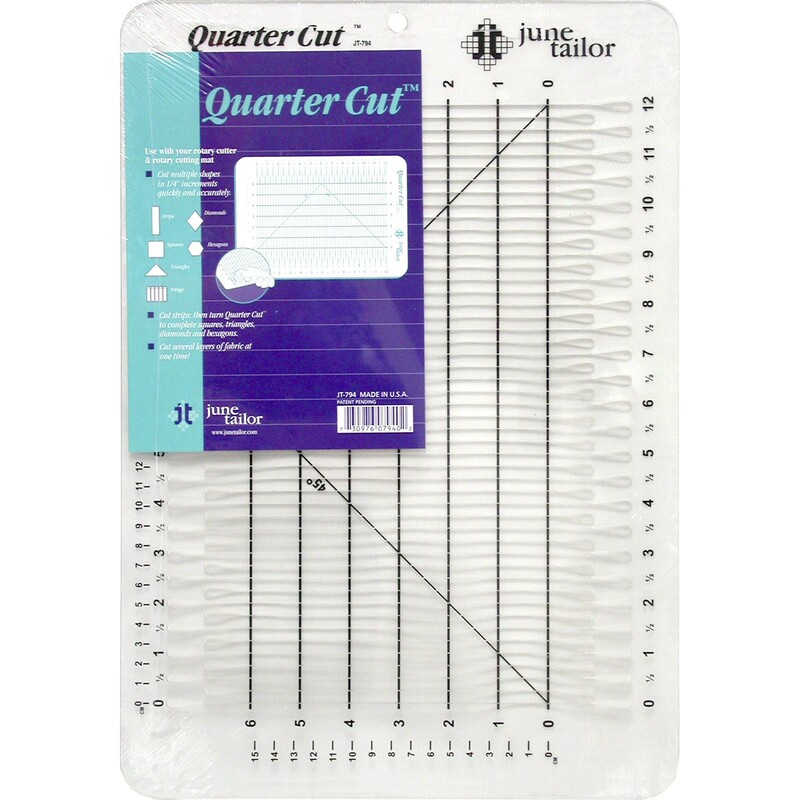 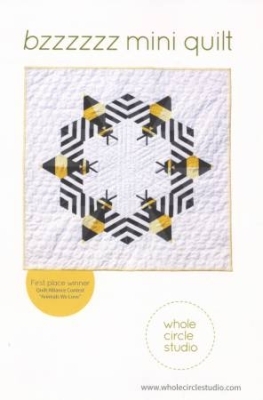 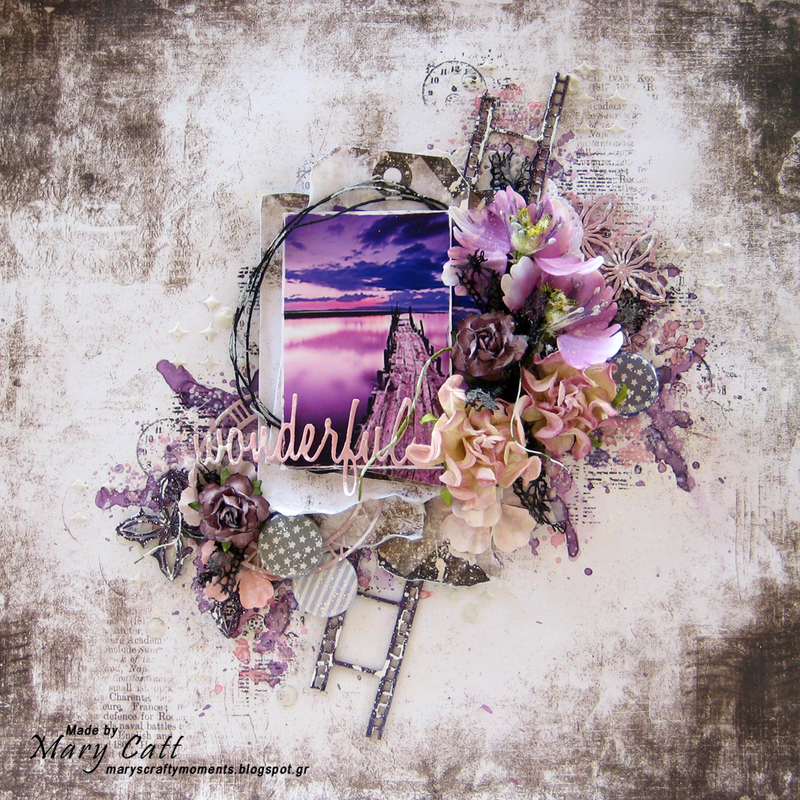 Mary's Crafty Moments: Always together - Guest Design for Maja Design Blo. 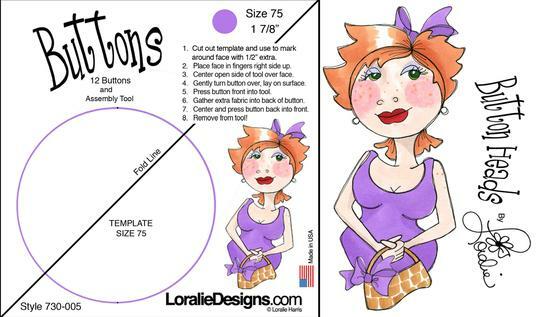 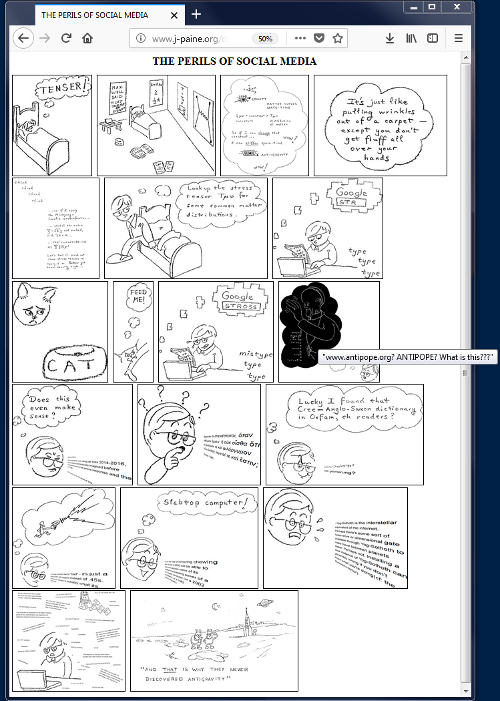 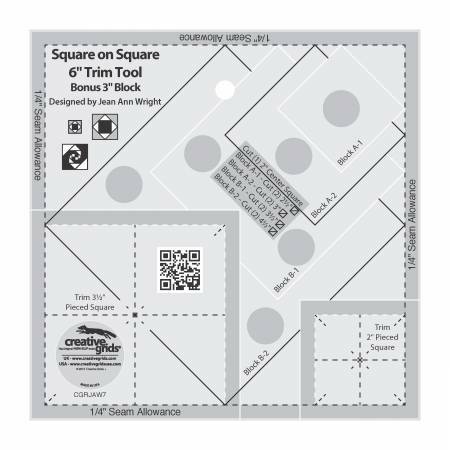 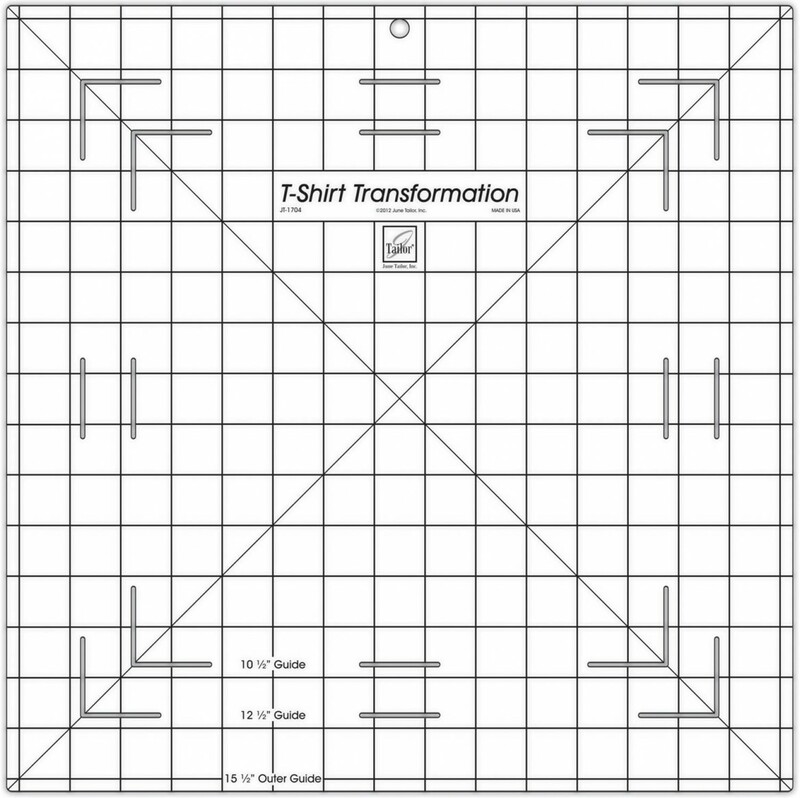 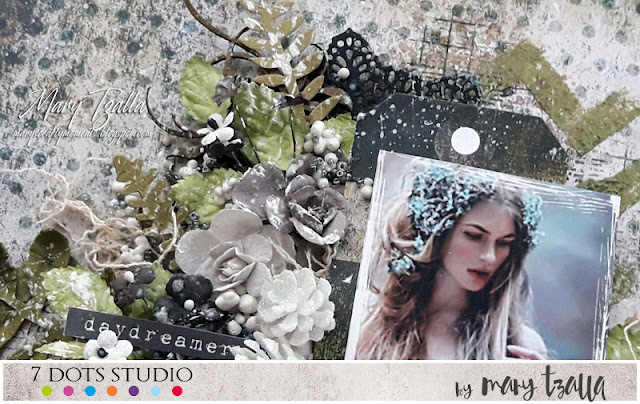 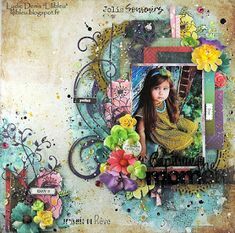 Mary's Crafty Moments: ''Dream a Little Dream'' - DT Layout for Maja Desi. 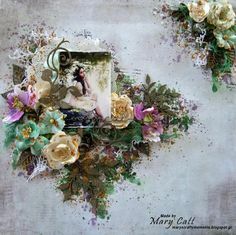 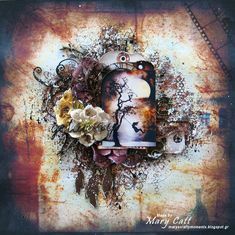 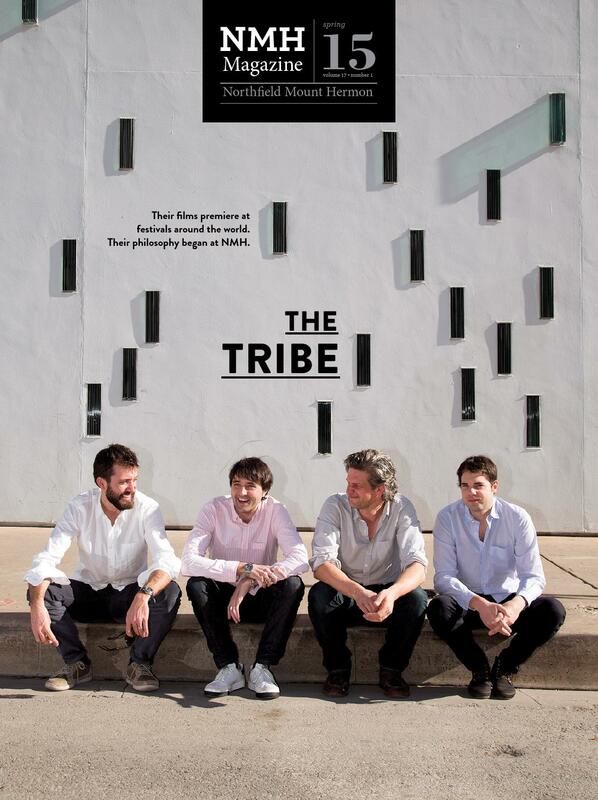 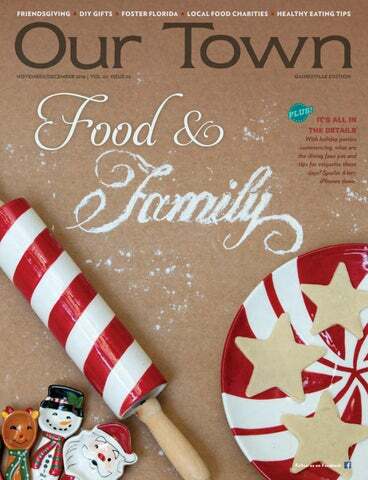 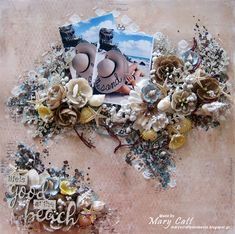 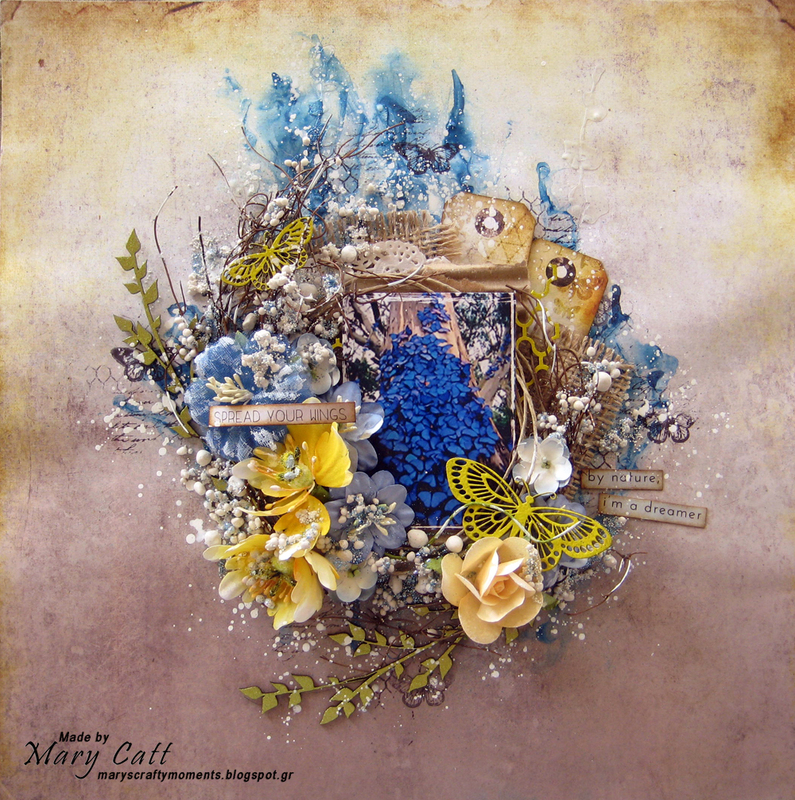 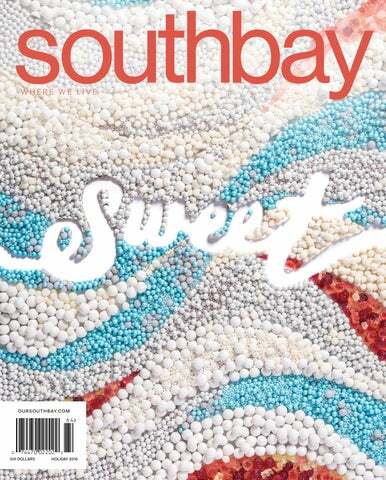 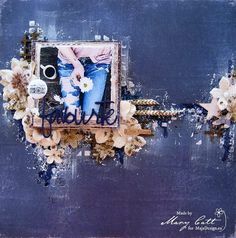 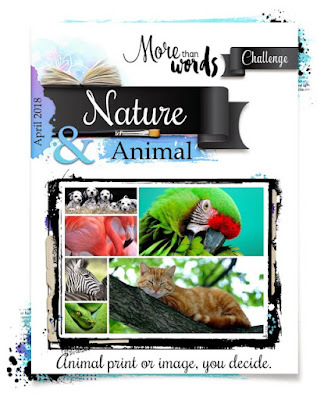 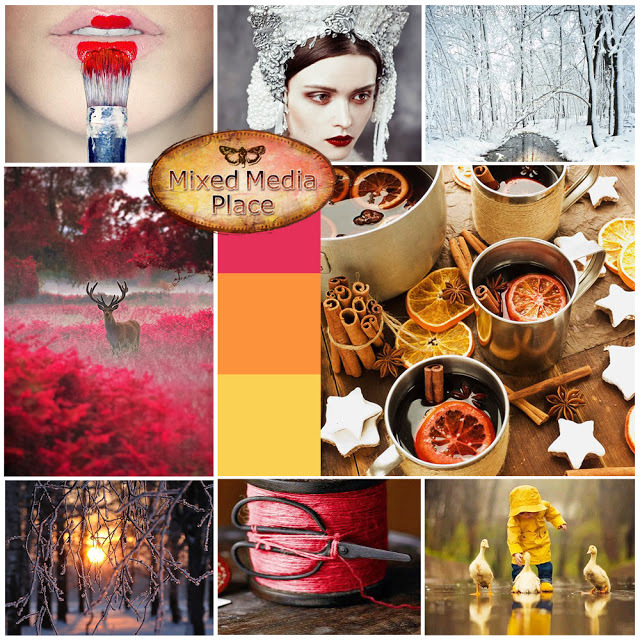 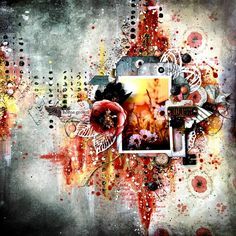 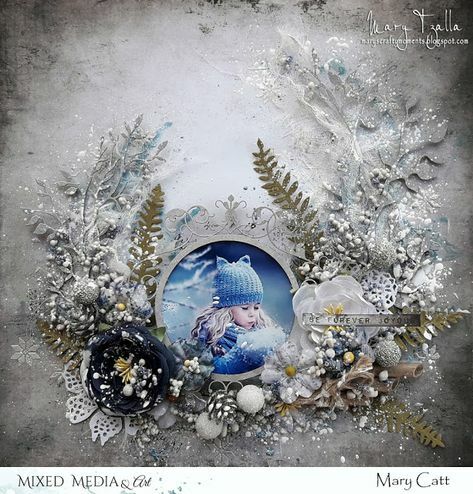 Enjoy this fabulous layout by Mary Catt - for MajaDesign. 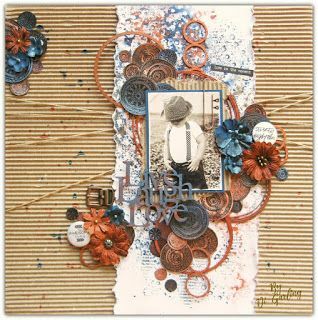 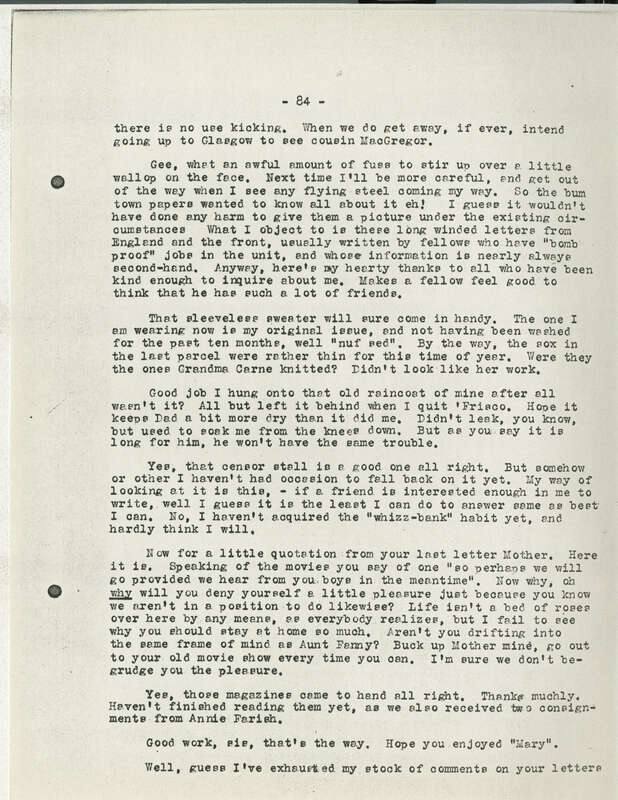 Papers from the newest collection - Denim & Friends. 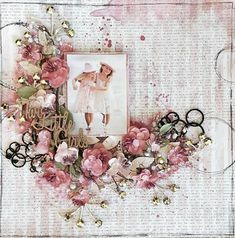 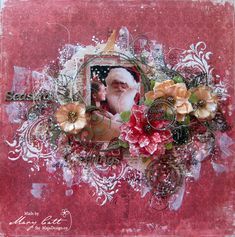 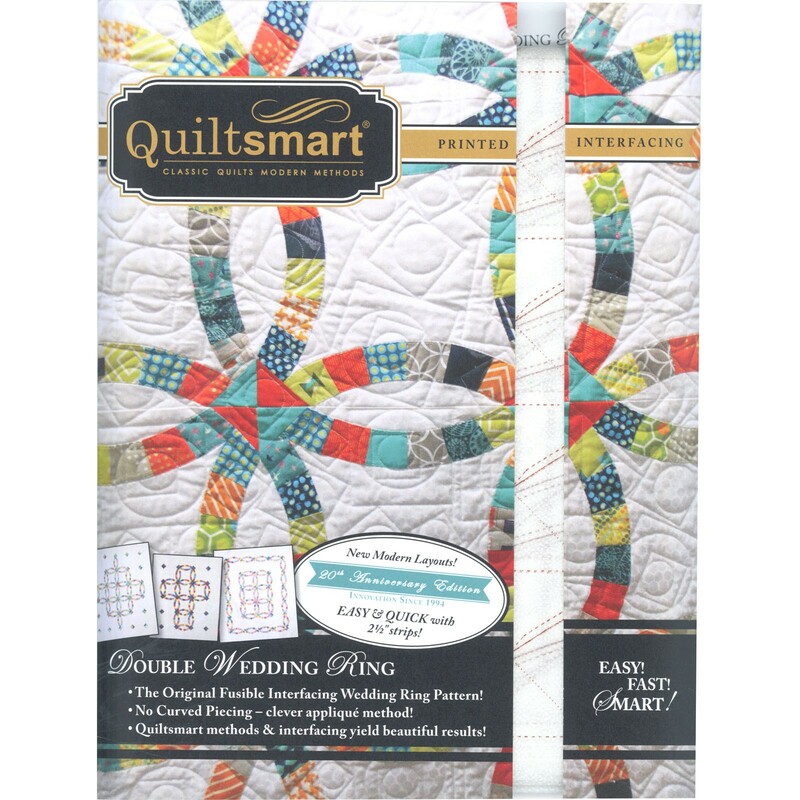 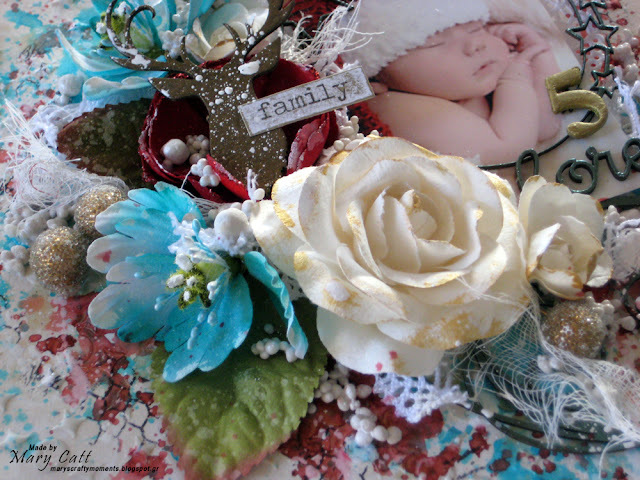 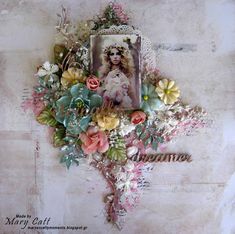 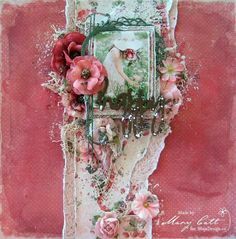 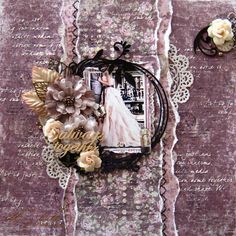 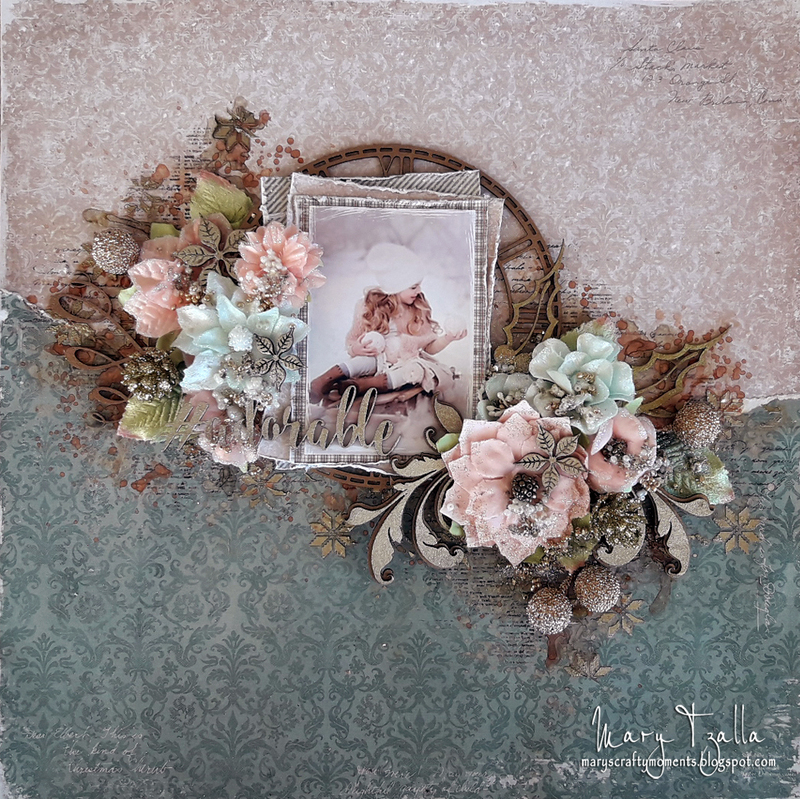 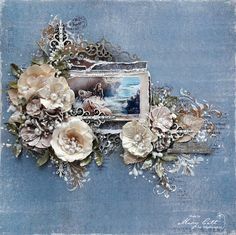 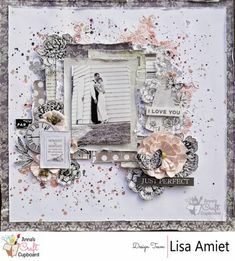 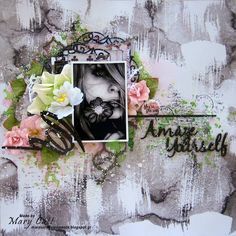 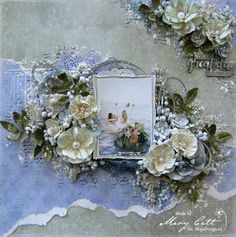 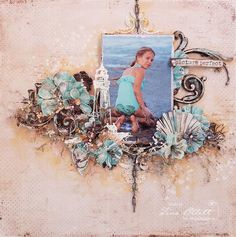 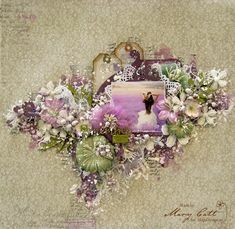 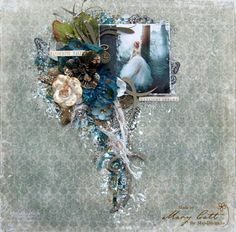 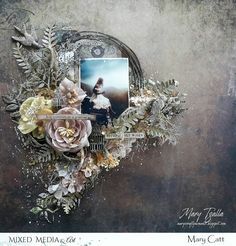 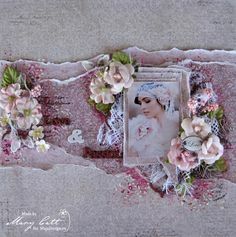 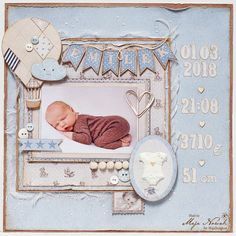 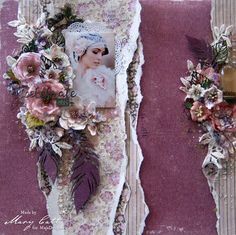 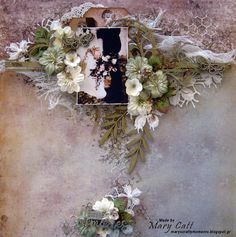 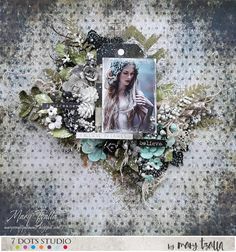 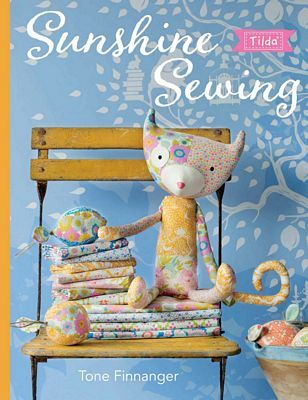 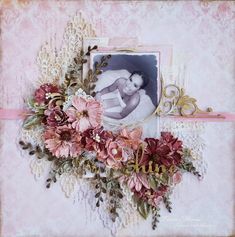 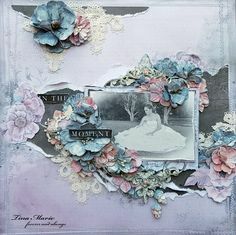 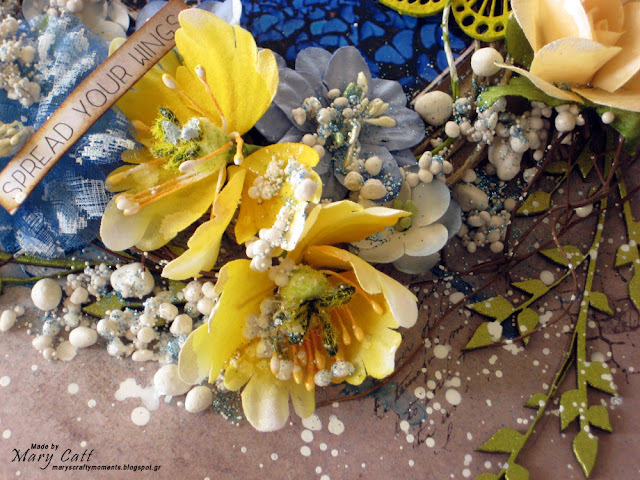 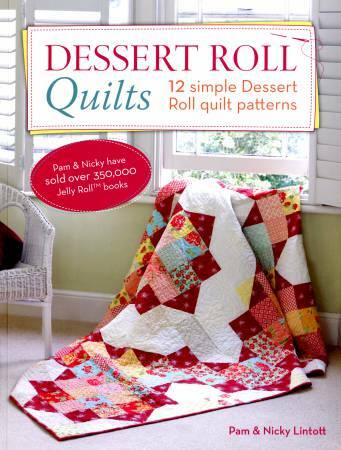 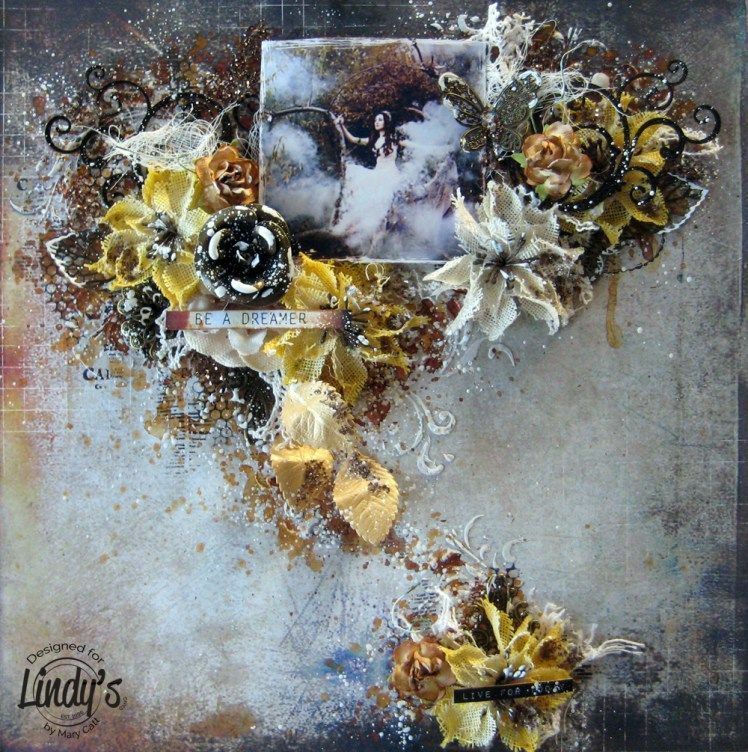 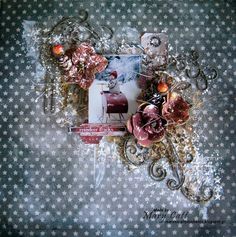 Mary's Crafty Moments: ''Sweet Memories'' - DT Layout for The Dusty Attic. 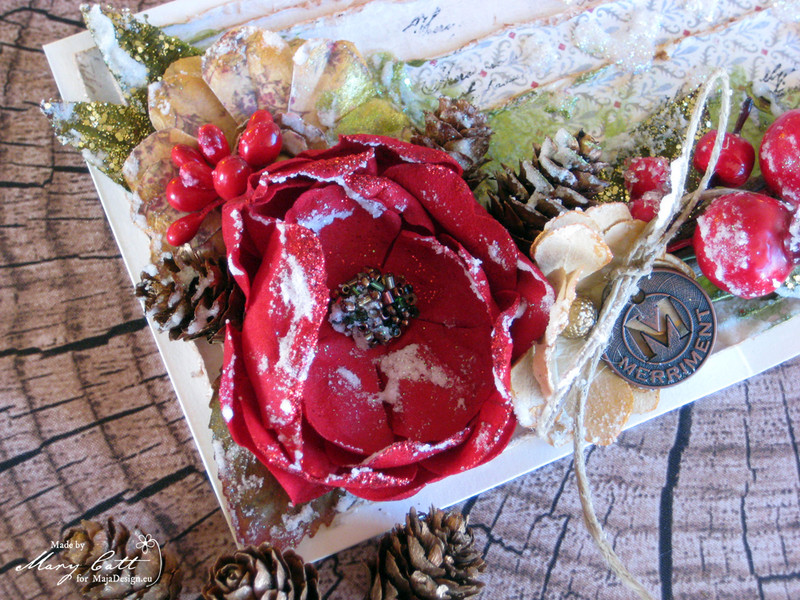 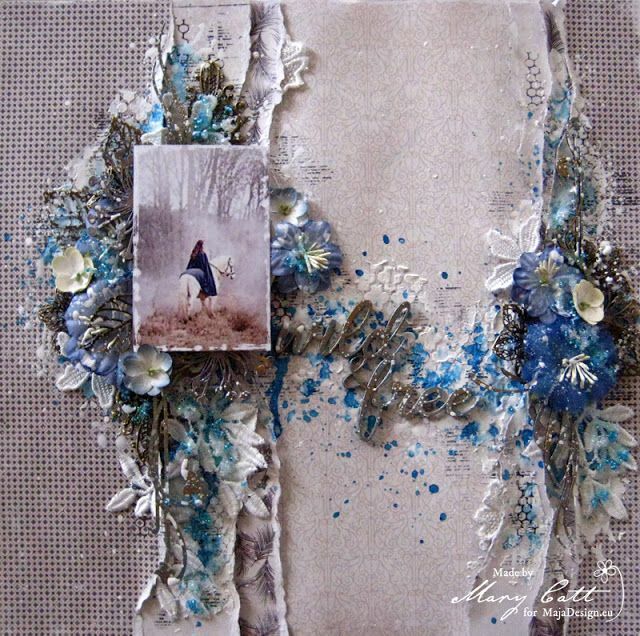 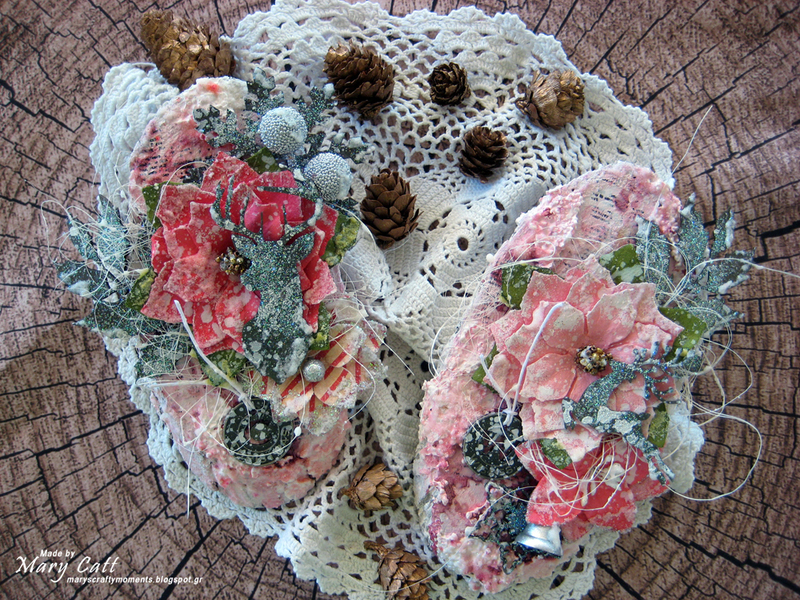 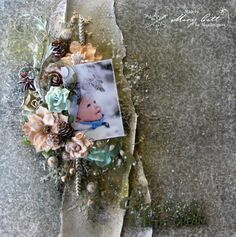 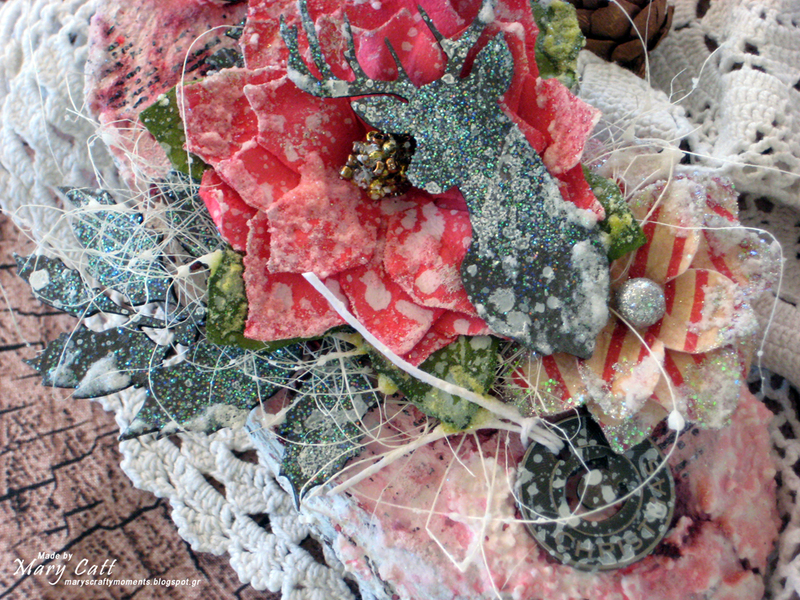 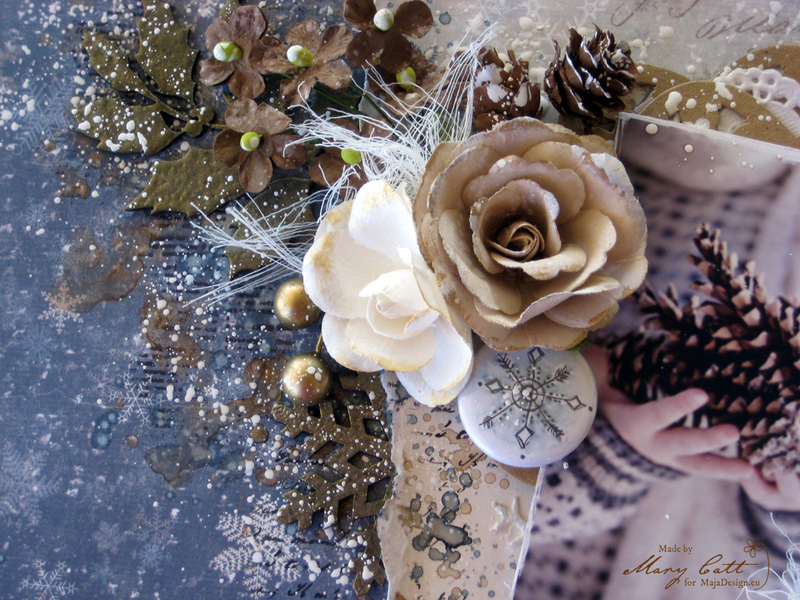 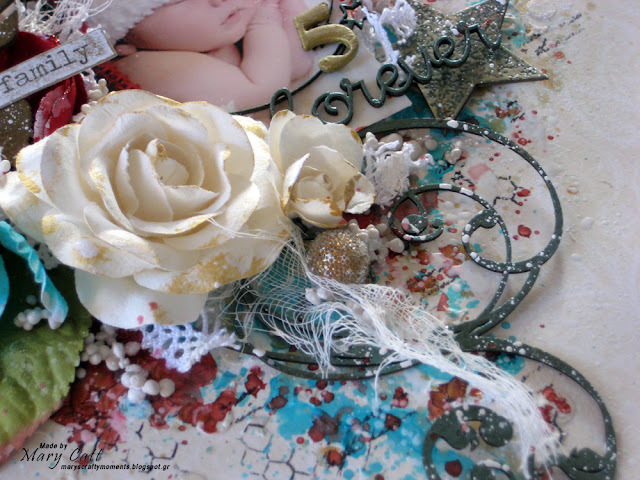 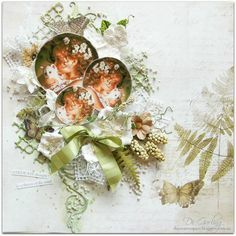 I used the ''Ephemera'' paper from the Maja Design ''Joyous Winterdays'' collection. 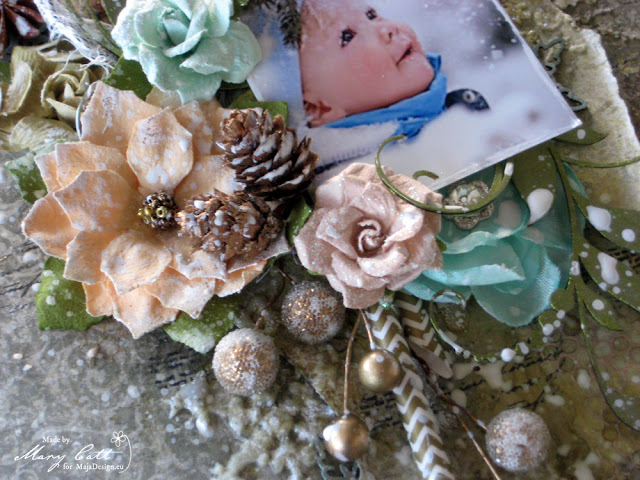 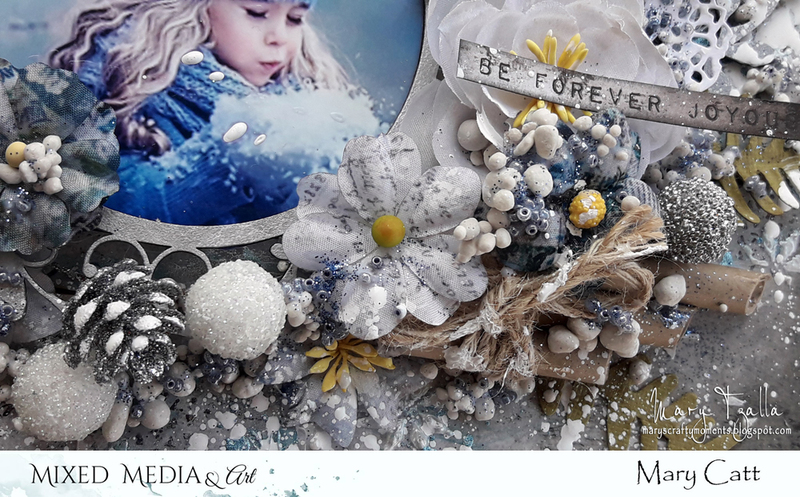 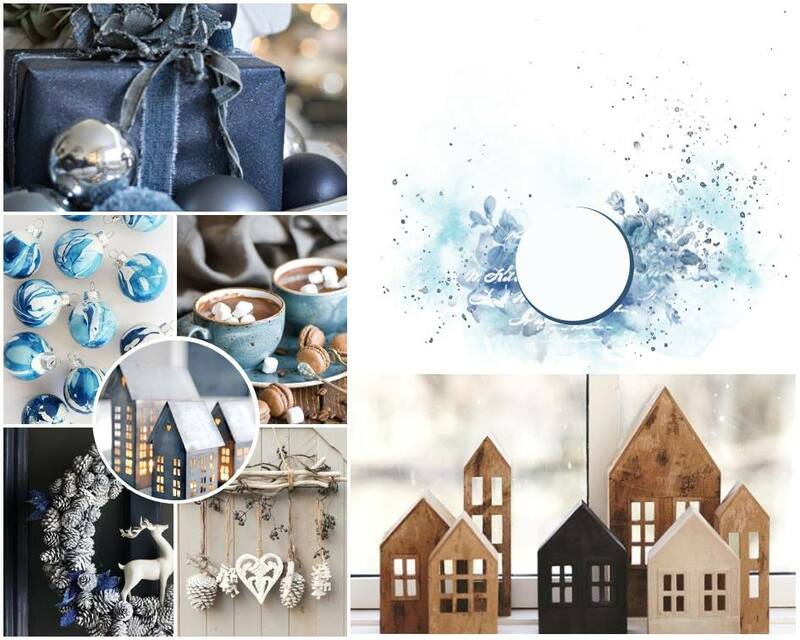 The photos inspired me to create a festive wintery layout in white, blue and silver shades with lots of flowers and beautiful chipboards. 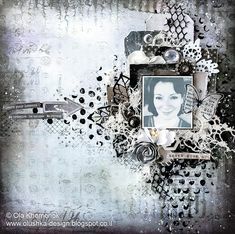 LikeArtStudio by Ola Khomenok: Dreams. 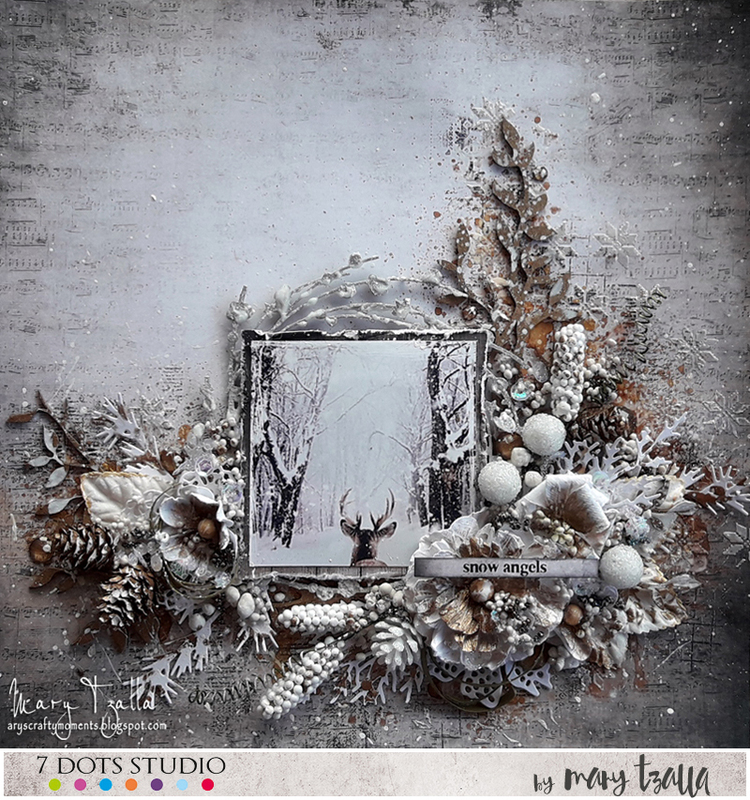 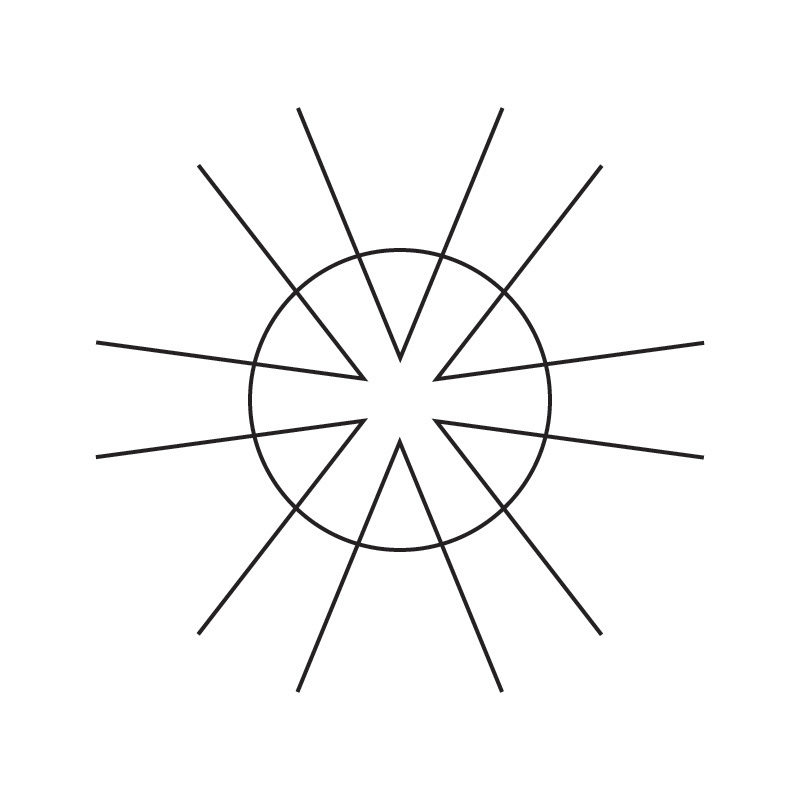 Layout for 7 Dots Studio challenge. 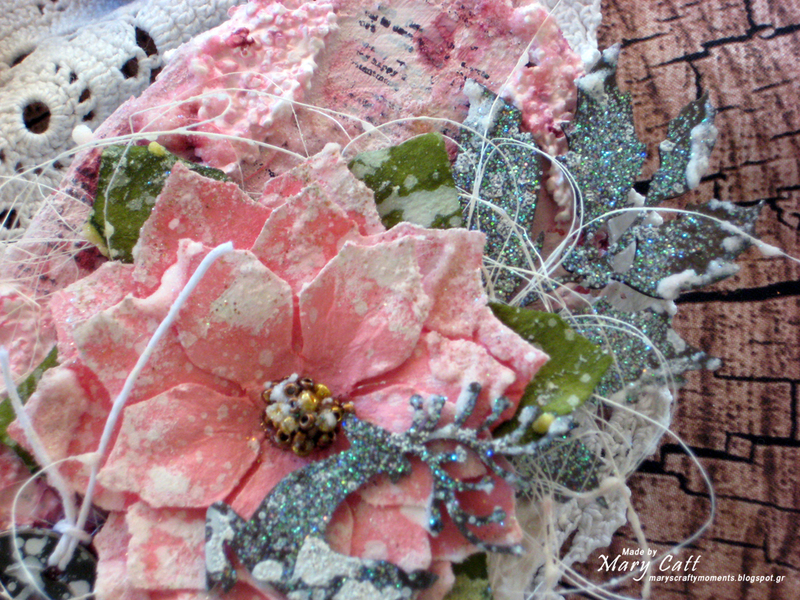 You can start hopping from my video here. 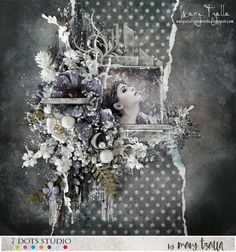 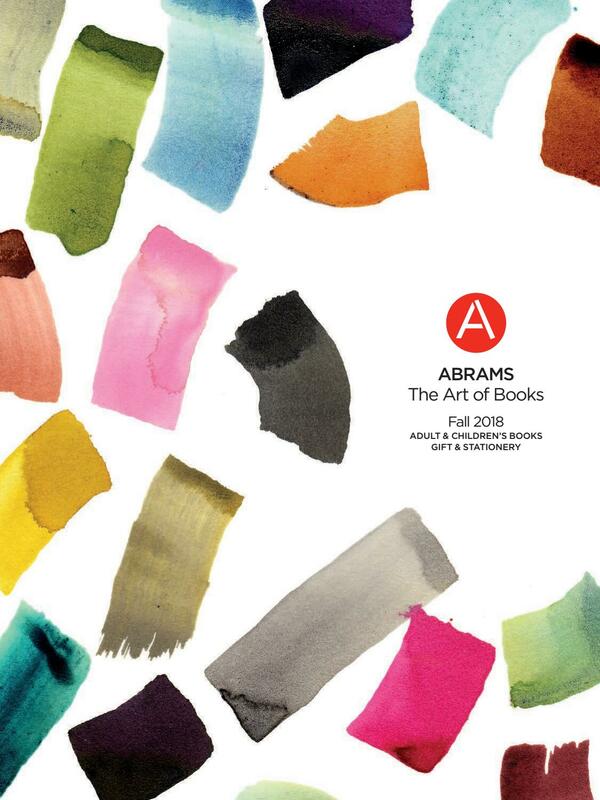 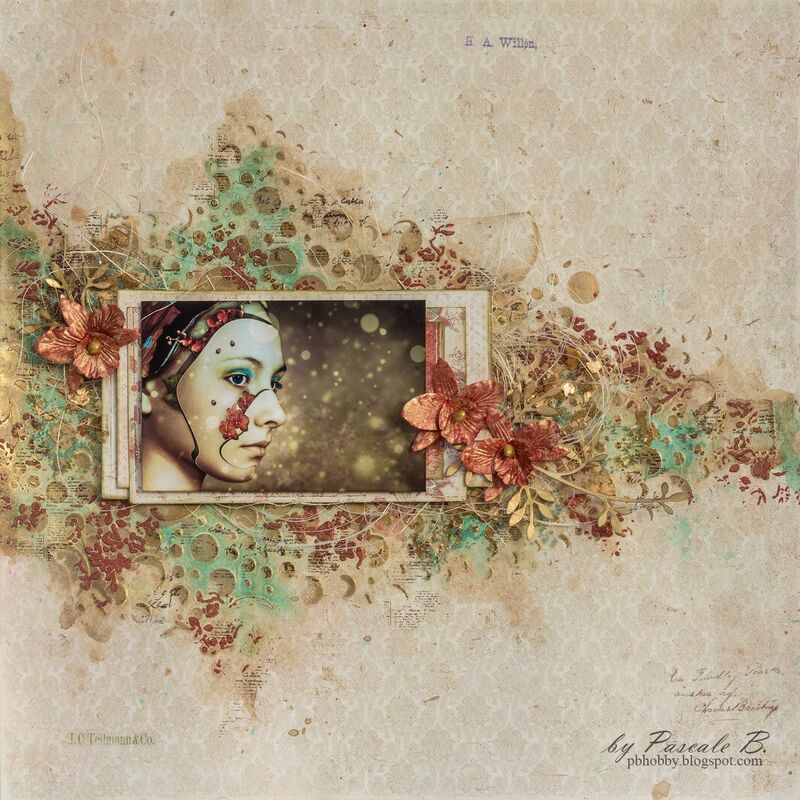 For my layout, I used papers from the ''Dreamscapes'' 7dots Studio collection. 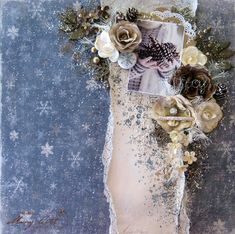 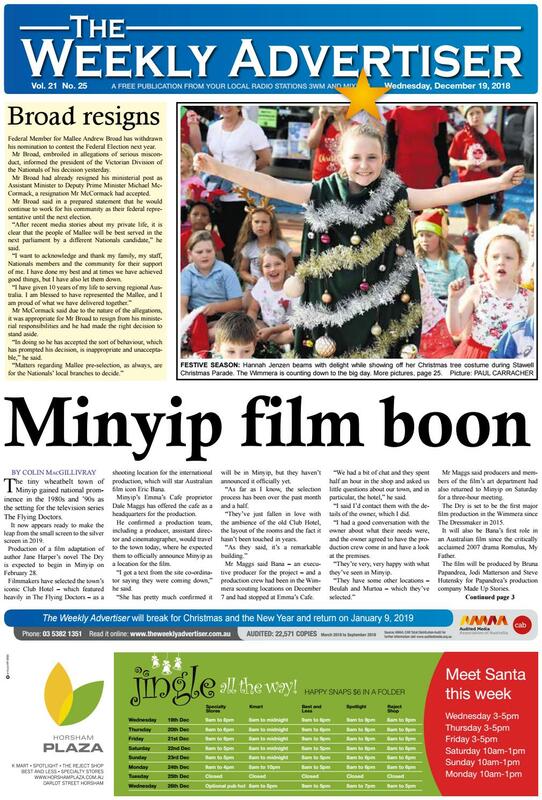 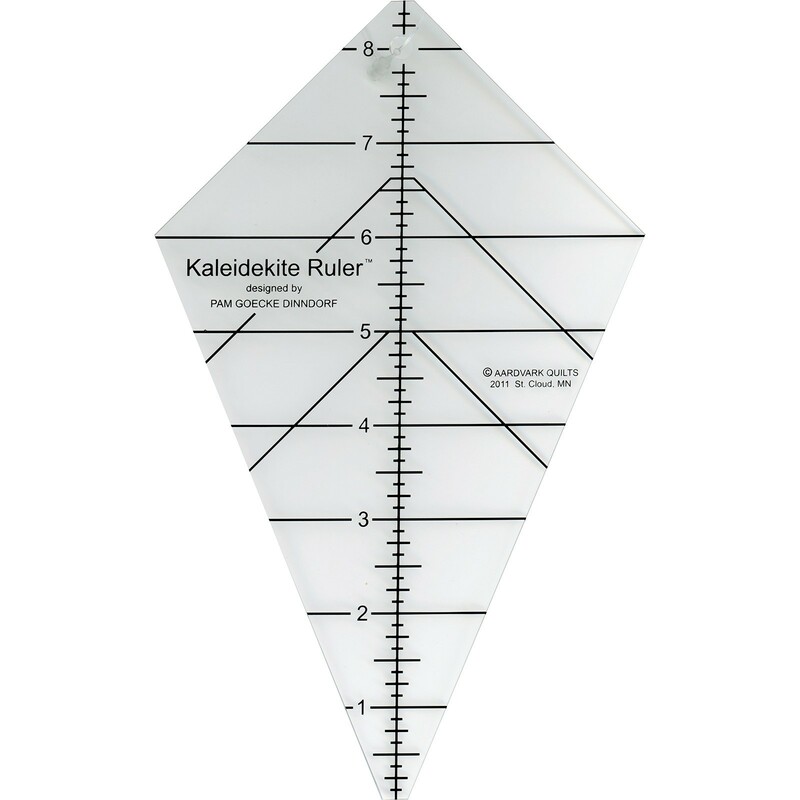 My main paper is the ''Twinkle''.